Sure, you might enjoy the occasional pizza or burger at lunch, but if you're into staying healthy, your average noontime hour likely includes salad - and plenty of it. Getting your veggies doesn't have to be a chore, though. 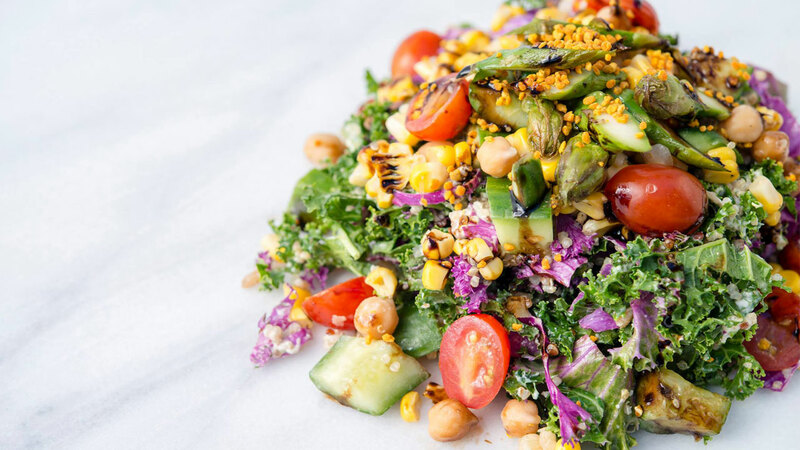 These five Santa Monica delivery spots each offer a wide variety of flavorful salads to accommodate all dietary restrictions, with plenty of customizable options to make your salad just the way you want it. Whether you're a vegan or a protein fiend, this "farm-to-face" salad chain wants to be your number-one. From the "Hollywood Bowl" with kale, chicken and quinoa to the vegan Caesar, there's a little something for everyone (as well as some hot entrees like turkey burgers and chicken tacos, if you're co-ordering with someone who's not in the mood for salad). You can also add a cold-pressed juice or protein shake to your order, for maximum antioxidants. This local chain is a favorite with the indecisive, as their marketplace plates allow salad fiends to mix and match four favorites from a selection of over a dozen different salads. 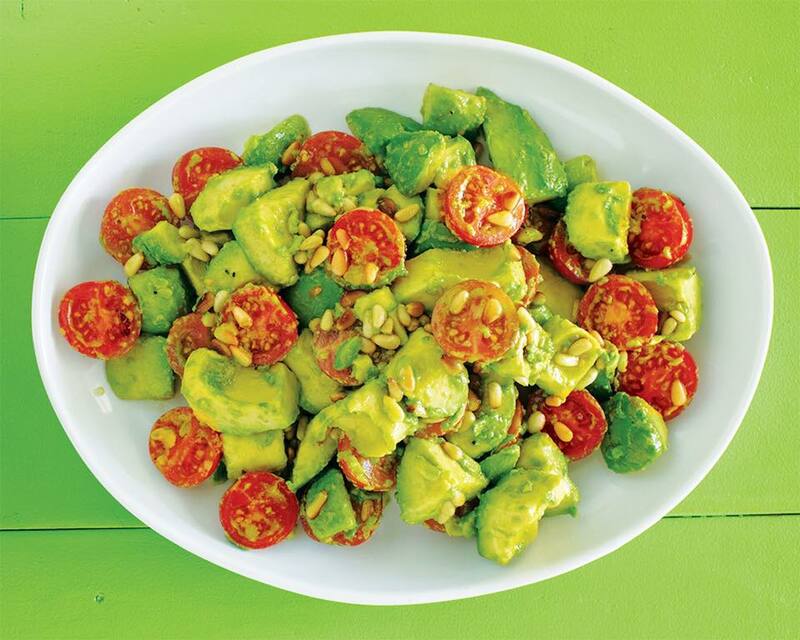 The options change with the seasons, but might include avocado with cherry tomatoes and pine nuts, shaved brussels sprouts with dates, and snap peas with edamame. Craving some extra protein? You can also get a plate of steak or roast chicken with two salads on the side. And of course, there's lemonade, in flavors ranging from peach ginger to cucumber mint. It's all about the greens at this salad-focused local mini-chain, which offers both chef's selected and build-your-own salads. The most popular options include the Sonoma Coast (romaine, spring mix, roast turkey, red grapes, orange segments, honey-roasted walnuts, mozzarella, tangy apple vinaigrette) and the Santorini, a Greek salad with flaked tuna and sun-dried tomatoes. For DIY salad combos, there are more than three dozen topping options and six kinds of dressing - the creamy roasted garlic is a favorite. 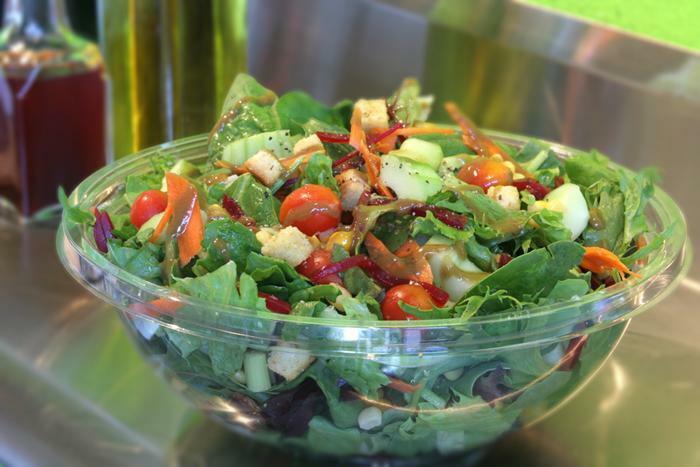 If you like your salads a little sweet and a little salty, try ordering Simply Salad's hit "hipster salad," which boasts romaine, grilled chicken, goat cheese, dried cherries, candied walnuts, and granny smith apples. The L.A.-based salad spot, which boasts four locations around town, prides itself on offering off-the-beaten-path ingredients for its build-your-own salads, from beets to jicama to caramelized onions. 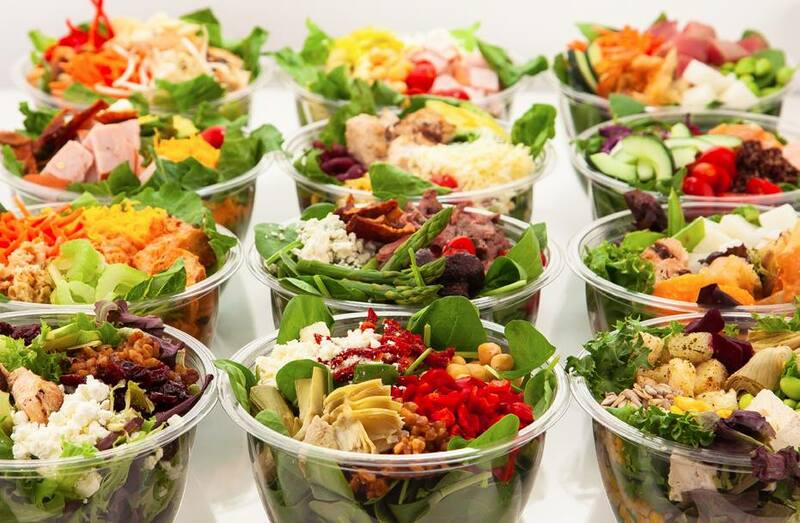 If you'd rather dispense with the utensils, you can also order any of the salads in wrap form. Seeking a break from the standard romaine-and-spring mix salad situation? Shake things up with some Middle Eastern salads, which are every bit as healthy but also boast plenty of garlicky, lemony flavor punch. Fala Bar's salad lineup includes purple cabbage with apple cider vinegar dressing, quinoa tabouli, and and Israeli salad with cucumber and tomatoes. 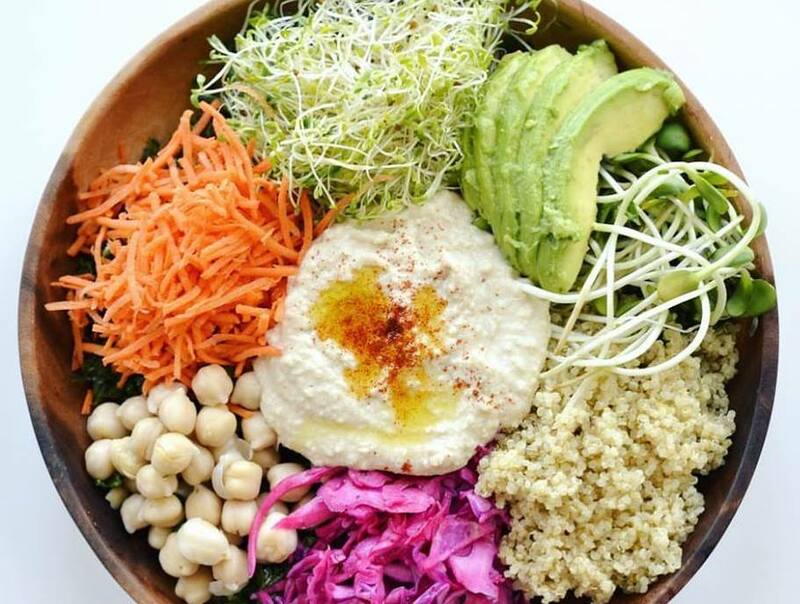 You can also order a more traditional salad like the Fala Me to Kaleifornia, with lemony kale, chickpeas, quinoa, purple cabbage, shredded carrots, avocado, sunflower sprouts, micro greens, hummus, tahini, and an optional topping of falafel.